Takht Sri Damdama Sahib, Sabo ki Talwandi (KP) - On January 31st, 2008, Panthic organizers had invited ragi Darshan Singh and his supporters to come to Takht Sri Damdama Sahib for a 'Gurmat Samvaad' to openly discuss the issues and concerns that they had over Dasam Granth with learned Sikh scholars in a civil manner ; the ragi failed to show up for his discussion. The convention was attended by representatives and scholars from dozens of prominent Panthic organizations who condemned the recent ramblings by the controversial ragi Darshan Singh in which he had outrightly rejected the Bani of Guru Gobind Singh Ji. Jathedar Sahib explains that every time contentious issues arise in the Panth, the Sangat has always resolved them by sitting together and removing their differences. He condemned the blasphemous comments by Ragi Darshan Singh on Sri Dasam Granth. He criticized the Ragi for not attending the function so his concerns could be adressed appropriately. Giani Ji commented that despite willingness, Sikh scholars have refrained from writing on the subject of Dasam Granth Sahib to avoid any useless controversies but not very long ago, the book ‘Dasam Granth Da Likhari Kaun’ was published to raise doubts in minds of the sangat. He stated that this writer had no knowledge whatsoever on the Granth and wrongfully interpreted the meanings of the Bani. Giani Sher Singh Ambala states that Ragi Darshan Singh who is now showing opposition to the bani of Guru Gobind Singh Ji, at one time actively used shabads from different parts of the Granth in his kirtan, including the Charitro Pakhyaan and the Krishana Avtar. Bhai Sahib also stated that the notion of labeling Dasam Granth as an RSS granth is truly irrational. Bhai Sahib stated that Krishan in Krishana Avtar is referred to as a keet (insect) and shown as a characterless being. In Rama Avtar, Ram is shown in a similar manner along with being a ruthless and merciless king who eliminated his rivals by any means possible. Why would the RSS promote a Granth that is so critical of these demigods, Bhai Sahib questioned. Bhai Sahib further stated that it is the RSS who truly wants the Sikhs to reject Dasam Granth, since it is harmful to them not to us. Bhai Sahib also details the actual comments made by Prof. Darshan Singh regarding Guru Gobind Singh Ji’s Bani. Bhai Kanwarajit Singh is the author of the book ‘Sab Dusht Jhakh Maraa’. He stated that Baba Binod Singh and other childhood friends of Guru Gobind Singh Ji, had finalized that all banis included in Dasam Granth are in fact authored by Guru Gobind Singh Ji. He explained the concept of miri-piri in depth while equating Sri Guru Granth Sahib Ji as piri (spiritual authority) and Dasam Granth Sahib as miri (temporal authority). 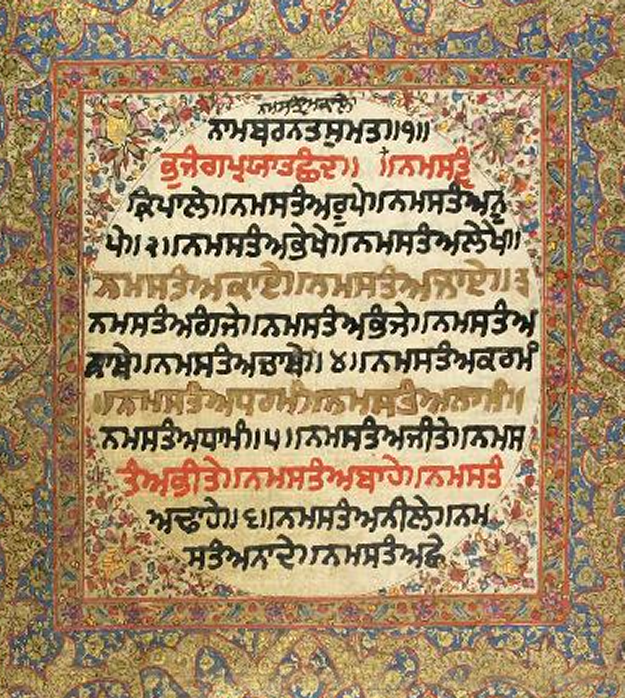 Furthermore, he held that parkash of Dasam Granth Sahib had long been done at Akal Takhat Sahib. Excellent to see these Singhs together. I would also like to recommend the book by Bhai Kanwarajit Singhs: 'Sab Dusht jhak mara'. Maybe if some of our brothers tried to read his book, they would not get confused and question the Dasam Granth. The book certainly shows How confused Kala Afghana is. I highly appreciate your work about Sikhism in an informative way bringing up all the learned scholars to bring there views and research. Your work will be known for all the years to come. Guru will bless you on this good cause. Please send me a list of books on Sri Dasam Granth Sahib. I have read part of it and I think it should be introduced in all universities because it is very rich literature and bani which has no comparison.